« ATA Back to School Bonanza! 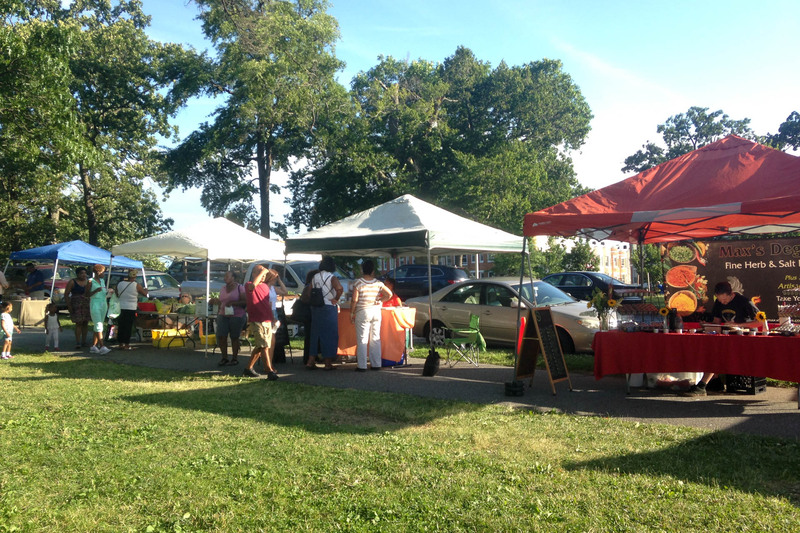 Join us at the Druid Hill Farmers Market for local produce, fresh baked goods, jam, local eggs, fresh prepared foods, crafts, and a full schedule of programming, including live music, free yoga classes, movies and more! These are just a few of the attractions that make the farmers’ market the place to meet with friends, family, and community members each summer. We rely on many community partners and volunteers to bring you the programming that makes our market so special. Check out our 2017 Vendor List, Program and Concert Schedules and What’s in Season at the Market chart. The Auchentoroly Terrace website designed by Graham Coreil-Allen is licensed under a Creative Commons Attribution-NonCommercial-ShareAlike 4.0 International License.